Die Unterkunft und Die Gastgeberin waren super, aber ich finde es nervend von expedia gezwungen zu werden mindestens 50 Zeichen zu schreiben. The perfect country retreat! In the heart of Maremma, close to Argentario's beautiful towns and beaches plus nearby many others famous and charming Tuscan towns and villages. Very friendly and super efficient service. Another very positive factor for warmer seasons' guests is the imminent opening of an outdoor swimming pool. Where to find Giannella hotels near an airport? Where can I find hotels in Giannella that are near tourist attractions? 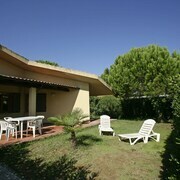 Visitors will find plenty of short- and long-stay accommodation options in Giannella. Our database lists 24 long- and short-stay options within a 0.1-kilometre (0.06-mile) radius of Giannella's heart. 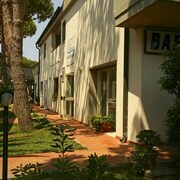 Among the most centrally located hotels of downtown Giannella are the Lido di Giannella and Airone Residenza Turistico Alberghiera. 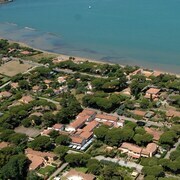 The Argentario Golf Resort & Spa is positioned 3 kilometres (2 miles) from the central part of Giannella. Or, alternatively, the Filippo II is situated 3 kilometres (2 miles) away. 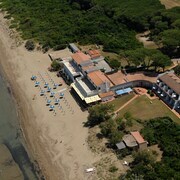 The Hotel Torre di Calapiccola and also the San Biagio Relais are two other recommended hotel options in Giannella. Giglio Porto is 20 kilometres (14 miles) to the southwest of Giannella and is home to the Giglio Harbour and Max Shark Diving. 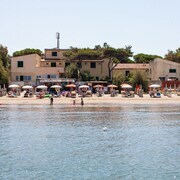 The Ammiraglio and Hotel L'Arenella are some of the long and short-stay alternatives in Giglio Porto. Or, you could consider staying in Punta Ala, 55 kilometres (33 miles) to the northwest of Giannella, where you can pick from the Gallia Palace Hotel and Baglioni Hotel Cala del Porto. The Punta Ala Marina and Bagno Punta Hidalgo are a couple of the more popular attractions to experience when visiting Punta Ala.
Just because you are on vacation, doesn't mean you can't enjoy your obsession for sporting events. Stadio Artemio Franchi - Montepaschi Arena can be found 100 kilometres (61 miles) to the north of Giannella. For travelers who are interested in sleeping close by, make a reservation in the Grand Hotel Continental Siena – Starhotels Collezione or Hotel Certosa Di Maggiano. For those travelers planning on flying through Leonardo Da Vinci Airport, you might like to book accommodation at Hilton Rome Airport, or Hotel Seccy, which are both close. What are the most popular Giannella hotels? Are there hotels in other cities near Giannella? What other types of accommodations are available in Giannella? Explore Giannella with Expedia.ca’s Travel Guides to find the best flights, cars, holiday packages and more!